Tired? Well, now is not the time to sleep, especially on these nine teams heading into this year’s NCAA Tournament. Rest assured that this guide will ease your sleepless nights so you can get some rest before the official round of 64 begins and brackets lock on Thursday. This season, FloHoops caught early-season action from this year’s NCAA Tournament teams. With a solid mix of top-ranked squads and hungry underdogs, there’s one thing that these teams have in common: They’re all sleepers. So read up, watch tape, and fill out your bracket accordingly. Good Luck! The Road Ahead: Should the Bearcats breeze through the winner of No. 7 Nevada and No. 10 Texas and advance to the Sweet 16, they’ll likely meet a hot and hungry No. 3 Tennessee team. This game will start the grueling path to the Final Four, where anyone from No. 1 Virginia to No. 4 Arizona to No. 5 Kentucky might await. 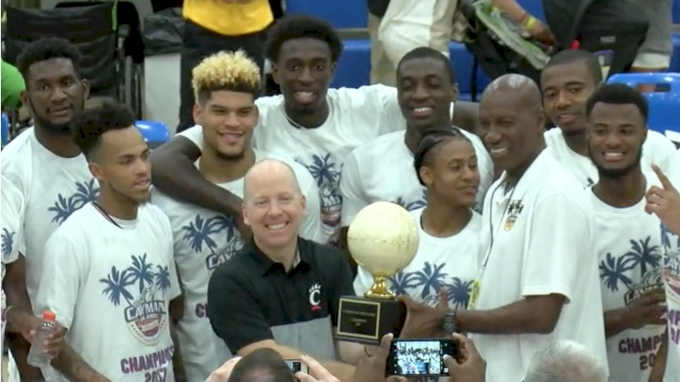 Sleeper Status: March loves a good team that grinds it out, and after several tests this season, including against Buffalo in the Cayman Islands Classic (seen below), Cincinnati always found a way to end on top. With only four losses on the season and only one unranked loss to AAC-foe Houston, Mick Cronin’s lineup is more than prepared for the big stage. The Bearcats feature a balanced offensive attack that includes four players averaging double figures this season, led by Gary Clark at 13.0 ppg. The Road Ahead: The Wildcats are focused. And they'll need that mentality in the dreaded South Region's road to San Antonio. Sleeper Status: Arizona has shown all the poise and strength it needed at the end of the season, ending with a Pac-12 regular-season and tournament championship. With the best player in the country in freshman DeAndre Ayton, Sean Miller and company are one of the favorites to make a run in this region. The Road Ahead: Like Cincinnati, the Bulls will fall victim to the STACKED South Region bracket. An upset over No. 4 Arizona is the first in a series of upsets Buffalo will have to complete in order to advance. Sleeper Status: Having made the trip to the tourney in each of the past two years, the Bulls went all in early on with a hefty non-conference schedule to see just how far they could take it this year. Though Buffalo struggled with injury and went into conference play with a 7-5 record, as the season continued, the Bulls only got stronger and healthier. Boasting four players averaging double figures, Buffalo scores often and efficiently. If their long-range shooting is on target, their opponents could struggle to keep up. You can see why in CJ Massinburg's 29-point performance that almost handed Cincinnati a loss in the opening round of the Cayman Island Classic. The Road Ahead: No. 3 Michigan and No. 2 North Carolina are the likely obstacles Houston will face upon winning its opening round game. 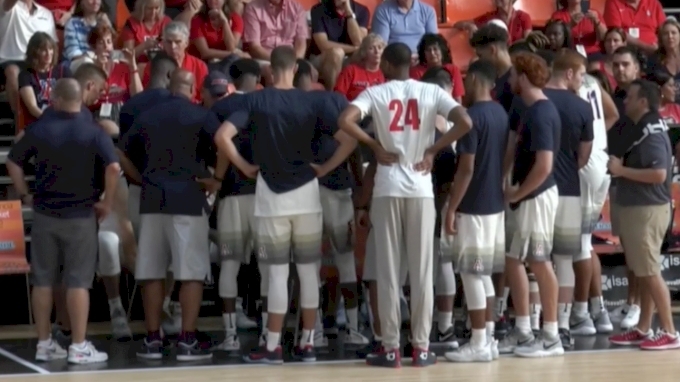 Sleeper Status: One of Houston’s worst losses of the season came in the opening round of the Paradise Jam; however, it was a game that stood out in our minds all season for a good reason. 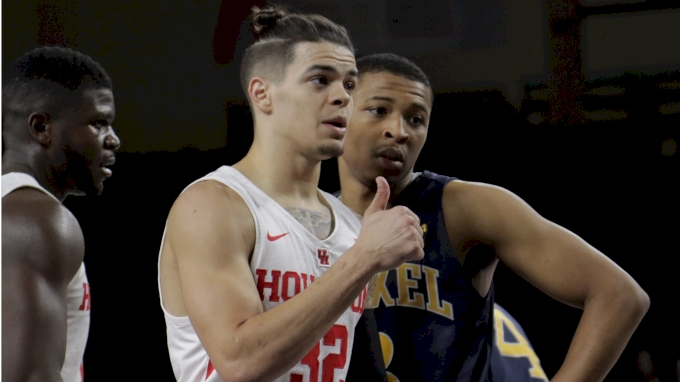 Having missed the first game of the season to suspension, senior Rob Gray exploded for 37 points vs. Drexel on Nov. 17, just a small preview of what was to come from the promising Cougars squad all year. Gray now leads the team at 18.5 ppg but has upped his scoring to 23 ppg in the last seven games. Houston fell to No. 2 seed Cincinnati by one in the AAC Championship game, proving the Cougars can hang at the top. The Road Ahead: The mascot says it all: If the Jackrabbits get moving, they have a chance to hop their way into the Sweet 16, and maybe farther. Sleeper Status: You’re familiar with the name, or is it the other South Dakota school that always makes the tournament? Listen now, and listen clearly: the South Dakota State Jackrabbits are one of the biggest sleepers in the tournament, riding an 11-game win streak into the opening round. We saw the Jackrabbits do everything — and do it really, really well — at the Cayman Islands Classic. From leading scorer Mike Daum torching the nets for 34 points over 13 seed Buffalo to 6-foot-2 junior Tevin King flying for the tournament’s deadliest poster dunk, SD State was ready and armed at every level. The Road Ahead: Charleston sits in one of the strongest sub-fields in the tournament, filled with several middle seeds ready to bust brackets. If Charleston were to upset Auburn, teams like No. 12 New Mexico State, No. 5 Clemson, and No. 1 Kansas could await. Sleeper Status: The Cougars have only lost one game since Jan. 13. In order to maintain that momentum, they’ll have to combat a 10-day layoff since their last contest. We caught the College of Charleston at the Great Alaskan Shootout, where this team was still figuring out its winning ways. The Road Ahead: The winner of controversial No. 11 seed Oklahoma and A-10 powerhouse No. 7 Rhode Island will be a tough second-round matchup should Iona upset Marvin Bagley III and company. Sleeper Status: The Gaels own four of the last six MAAC championships, giving them an experienced squad and staff heading into their first-round matchup with Duke. What’s on Iona’s side more than most 15 seeds is its ability to score the ball. If the Gaels catch an inexperienced Blue Devils team on a cold afternoon, we’ve got ourselves a game. The Road Ahead: Georgia State was a Cinderella team three years ago, but its tournament road in 2018 doesn’t get easier as previewed in Cincinnati’s road ahead. Sleeper Status: If you remember Georgia State’s magical run in 2015, which included a second-round buzzer beater over Baylor that knocked coach Ron Hunter off his seat, you know the Bulldogs love March. This year they’ll need all the magic they can make after a 24-10 season, with a fairly easy schedule all the way through. The Road Ahead: Let's be real here. If you don’t know, now you know: A 16-seed has NEVER beaten a one seed in the NCAA tournament. Sleeper Status: Though it’s highly unlikely Penn will be the itch Kansas can’t scratch on its run this year, the Quakers did dethrone Ivy League favorite Harvard to punch their ticket. Penn will rely on the little things such as 3-point defense, where the team ranks second in the NCAA, to limit the touches and hot hands of the Jayhawks backcourt trio of Devonte’ Graham, Svi Mykhailiuk, and LaGerald Vick. We've been watching those guys do their thing since Kansas' summer tour of Italy.